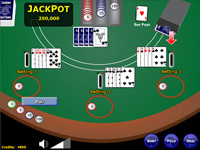 Play up to 3 hands of Blackjack at the same time. 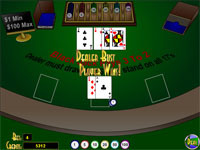 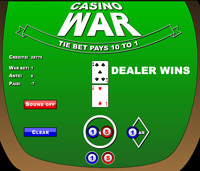 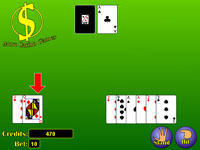 Blackjack is a casino card game where the player attempts to get as close to 21 as possible without going over. 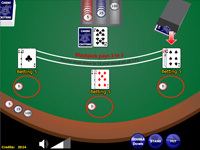 If the player's hand is higher than the dealer's hand (but is 21 or less) the player wins the bet.